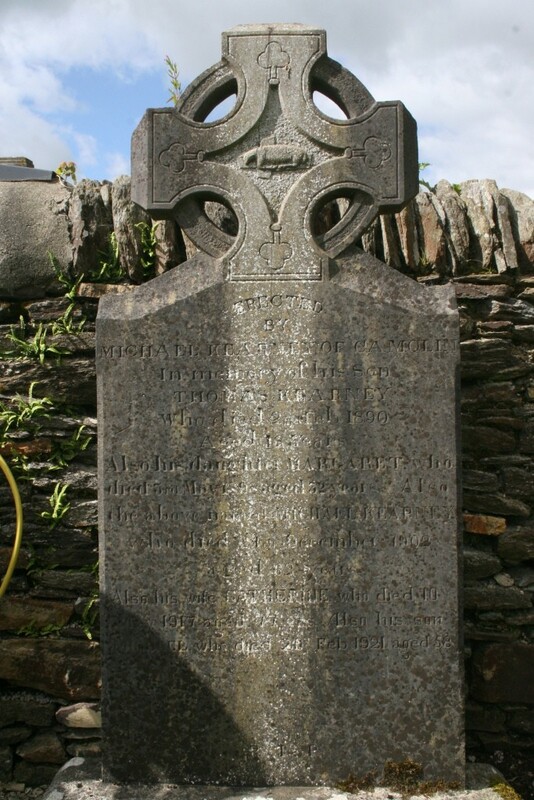 Erected by Michael Kearney of Camolin in memory of his son Thomas Kearney who died 2nd Feb. 1890 aged 18 years. 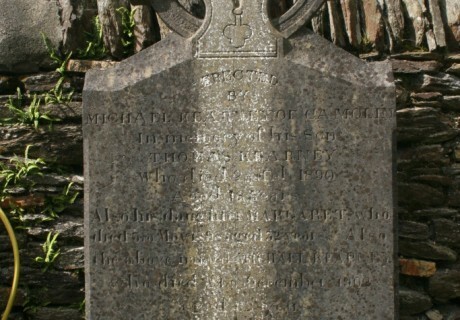 Also his daughter Margaret who died 3rd May 1898 aged 32 years. Also the above named Michael Kearney who died 24th December 1902 aged 62 years. Also his wife Catherine who died 10th May 1917 aged 77 yrs. Also his son Michael who died 20th Feb. 1921 aged 58.